This year’s CES in Las Vegas showcased some of the latest technologies from both established and up-and-coming robotics companies. Drones, telepresence robots, automated cleaning devices and entertaining toys filled the exhibit booths at the Robotics TechZone as visitors crowded around the demonstration areas for up close views. Yet for most founders the excitement of releasing a new robotics technology is often tempered with the reality of high hurdles to mass customer adoption and tepid (but growing) interest from venture capitalists to provide funding. Consumer robotics companies are still battling customers’ hesitance to adopt “robotic” technology. On top of that, convincing customers of the technology’s true lifetime value, finding the technological sweetspot of facilitating tasks without drastically altering user routines, and marketing to the right customer segment introduce even more barriers along the road to mass customer adoption. Even so, the market for consumer robotics is growing. The International Federation of Robotics estimated the 2012 market size at $1.2B with expectations to grow to $6.5B by 2016. In a panel discussion on the future of consumer robotics, Matt Fisher, founder of KumoTek Robotics said that in order to be successful robotics companies have to shift away from being gadgets and show customers a return on investment. Paolo Pirjanian, CTO of iRobot, said that companies must focus on the core value they present to the customer. Buzz and publicity often don’t translate into high sales numbers (Anchorman 2 anyone?) and from a company’s line of products perhaps only one or two will find mass appeal with customers. After speaking with founders and exhibitors at CES, here are the seven consumer robotic products that have the highest potential for mass customer adoption based on the strength of their value proposition to their intended market segment. Some of these robots are still in pilot tests while others have paying customers. Ozobot revealed its new gaming platform, a pocket-sized (1 inch) robot with the ability to operate on physical and digital platforms, at this year’s CES. The intelligent robot recognizes over 1000 different digital codes, and is capable of reading different line and light colors on game boards, paper and digital smartphone and tablet screens using a small optic sensor. Players can create their own game or download one of four Ozobot gaming apps available on iOS and Android devices. 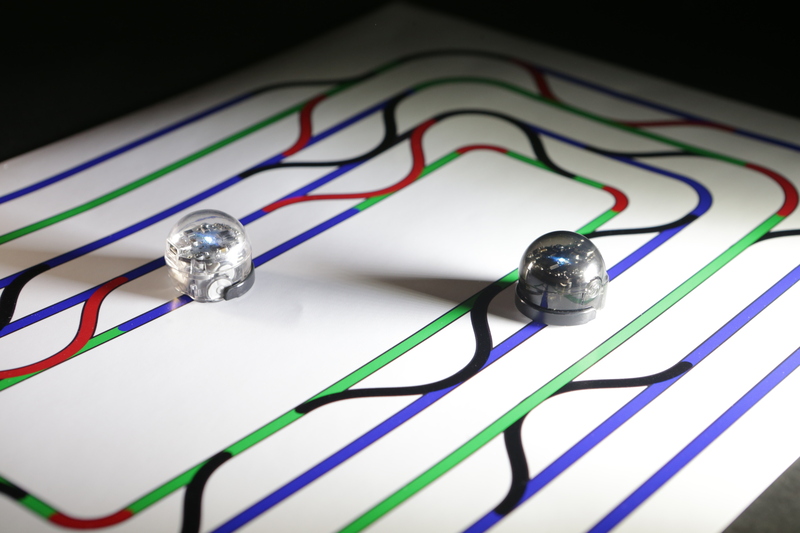 Ozobot will launch a Kickstarter campaign in January and sell the tiny robots for $60 each. The Ekso is a wearable robotic exoskeleton that helps paraplegics stand and walk. A series of built-in force and motion sensors monitor shifts in the user’s weight then translate the inputs into actions such as walk straight, stand up from a sitting position, and sit down. The Ekso is currently being sold to rehabilitation centers and individuals for $140,000. Jumping Sumo is a spinning, leaping, jumping robotic toy that can be controlled via a smartphone or tablet. Sumo jumps over 2.5 feet high and makes sharp 90 degree turns at high speeds. A front-facing center camera relays video to the app. 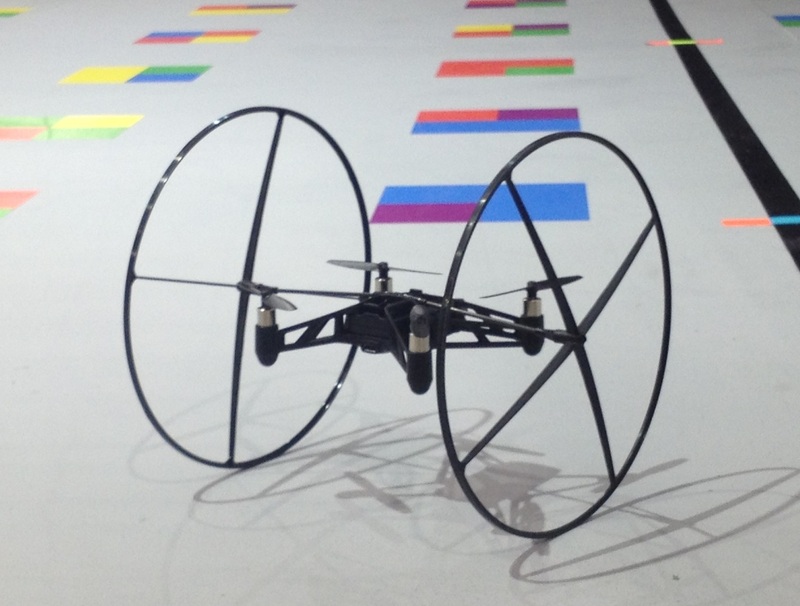 MiniDrone is a remote controlled drone equipped with indoor wheels to roll on the floor or on the ceiling. Parrot revealed both Jumping Sumo and MiniDrone at this year’s CES with a demo that showcased the toys’ leaps, high speed flying and smooth stabilization system. Both toys will be available later this year but no price has been revealed yet. Budgee carries your luggage, books, groceries, and other belongings and follows you wherever you go. Users wear a small transmitter which Budgee then follows within a constant range. Budgee can carry up to 50 pounds and is equipped with bump sensors bring it to a stop in case it hits an object. Users can also control the robot using a smartphone or tablet. Five Elements is currently conducting pilot studies to finalize the design. Soloshot released SoloShot2, its second generation robot cameraman device at CES this year that tracks and films subjects up to 2000 feet away. The device tracks a RF transmitter worn by the subject and automatically adjusts the mounted camera angle using a pan-tilt head that centers on the subject. 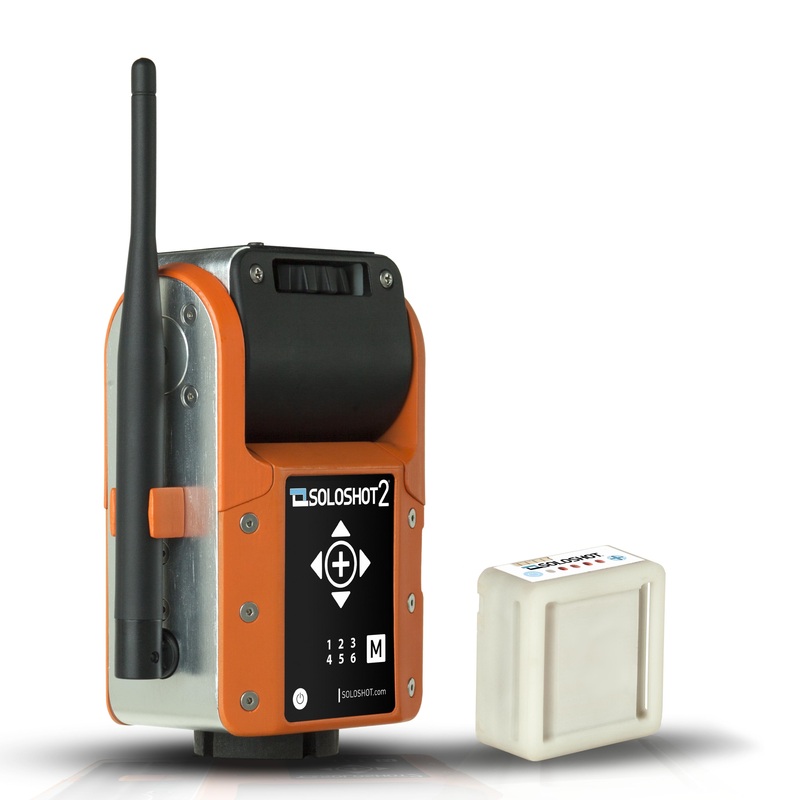 SoloShot2 has 360 degree continuous tracking, 120 degree vertical tracking and can hold cameras up to 5 lbs. The device is meant for outdoor use and retails for $399. 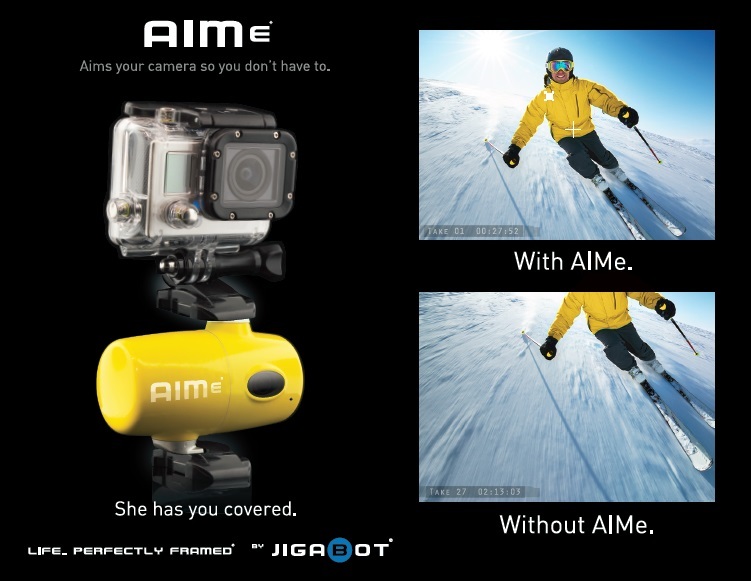 AIMe is similar to SoloShot2 but intended for indoor use. The device tracks an infrared beacon carried by the subject up to 150 feet and adjusts the camera’s position to keep the subject in the frame. AIMe has a 360 degree horizontal range of motion and 120 degree vertical range. 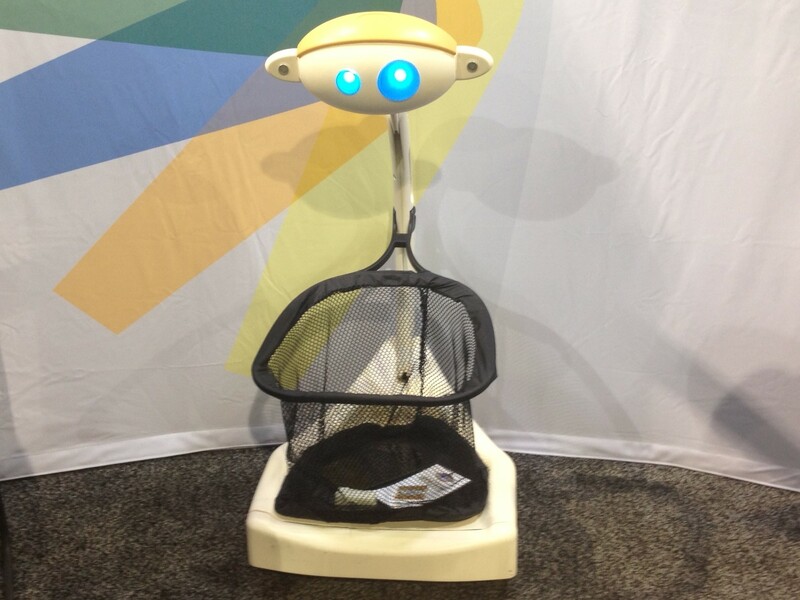 Jigabot revealed a prototype at CES but the product will be available in June 2014 at a retail price of $299. Paro is an interactive therapeutic robot developed by AIST in Japan for treatment of elderly care patients. 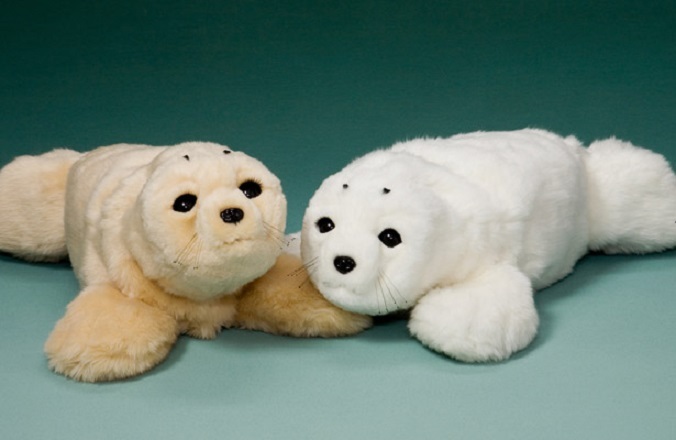 It resembles a baby harp seal and interacts with users by moving its head and legs, making sounds, and showing learned behaviors. Paro can also recognize the direction of voice and words such as its name, greeting, and praise with audio sensors. The interactive seal has been used by nursing facilities in Japan, Germany, and Netherlands for treatment of Alzheimer’s and dementia and has recently been cleared as a Class 2 medical device in the US. Paro retails for $6000.